The Cardboard Republic Captain Sonar Giveaway! Ends March 12, 2017. Geeknson Arkham Horror: The Card Game Giveaway! Ends March 30, 2017. 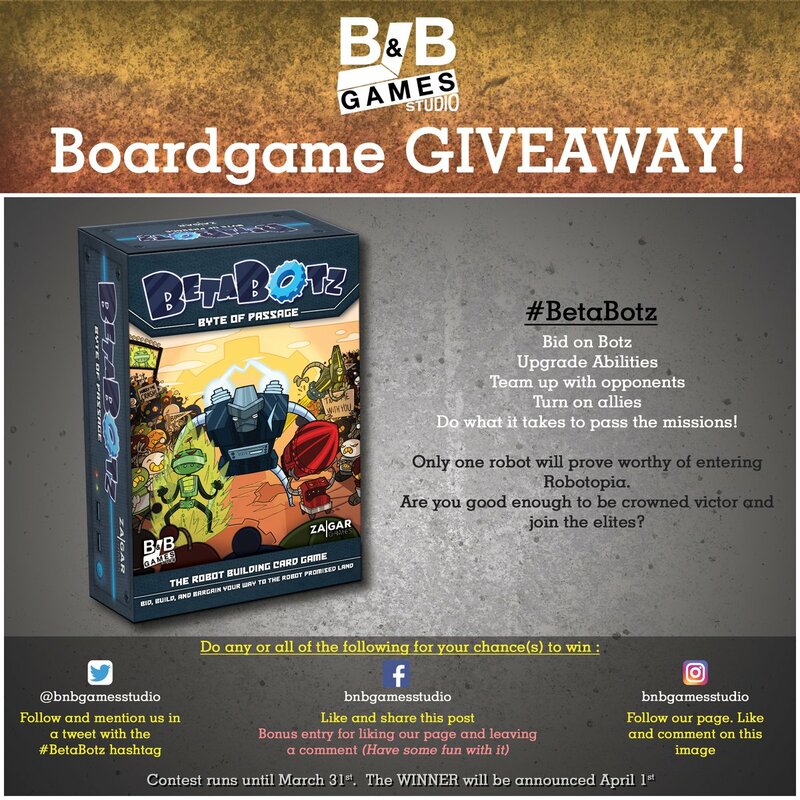 B&B Games Studio Beta Botz Giveaway! Ends March 31, 2017. Unfiltered Gamer Murder Most Foul Giveaway! Ends April 2, 2017.